Using the seven colours of the spectrum, Colour Therapy aims to balance and enhance our body's energy centres / Chakras and also to help stimulate our body's own healing process. Colour Therapy uses colour to re-balance the Chakras (our energy centres) that have become depleted of energy. Each of the seven colours of the spectrum, resonates with one of the main seven chakras of the body. These chakras are like spirals of energy, each one relating to the others. Colour has a profound effect on us on all levels, physical, mental, emotional and spiritual. If our energy centres become blocked or depleted, then our body cannot function properly and this, in turn, can lead to a variety of problems on any level. Colour therapy is used for adults and children or babies alike and is also very helpful in the treatment of animals. Colour has been used for healing at least since the Ancient Egyptian times. It is now being used again today to help people from all over the world. Colour Therapy uses colour to balance the Chakras of the body Each of the spectrum colours is simply light of varying wavelengths, thus each color has its own particular energy. The energy relating to each of these spectrum colours resonates with the energy of each of the seven main chakras of the body. Chakra is the Sanskrit word for 'wheel'. If you can imagine the chakras/energy centres as a set of cogs/wheels, they are rather like the workings of a clock or an engine; each cog /wheel needs to move smoothly and at a similar speed for the clock/engine to work properly. Thus good health and well being is achieved by a balance of all these energies (or the smooth running of the cogs/wheels). Colour therapy can help to rebalance these 'wheels' by applying the appropriate color to the body and therefore re balance our chakras. Listed below is each of the spectrum colours and the chakra which it relates to. Violet has the shortest wavelength and red the longest wave length. Violet relates to the crown chakra, and red the base chakra. Colour is absorbed by the eyes, skin and skull and the energy of color can affect us on all levels, that is to say, physical, spiritual and emotional. Every cell in the body needs light energy - thus color energy has widespread affects on the whole body. Colour has a profound effect on us on all these levels - physical, mental, emotional and spiritual. We are in a world where colour dominates our lives, from reading signs on the road to identifying ripe fruit by its colour. Colour affects our moods - blue is calming - red can make us tense. We use colour everyday in our lives without even appreciating it. Colour is simply light of different wavelengths and frequencies and light is just one form of energy made up from photons. We are surrounded by electromagnetic waves of energy of which colour is just a small part. The colour spectrum is the only part of the electromagnetic spectrum that is visible to the human eye. Light is just one particular type of electromagnetic radiation. Other types of electromagnetic radiation include radio waves, infrared radiation (heat), ultraviolet radiation, x-rays and gamma - rays. Each type of radiation is distinguished by its wavelength, or frequency. Light is made up of many frequencies, colour just being a small selection of these frequencies. The colours - red, orange, yellow, green, blue, royal blue, and violet, all emanate from the sun, our provider of light. These 7colours become visible when a prism is placed in the path of sunlight. As the light passes through the prism, it is split into the seven visible colours of the spectrum by refraction. This is caused by the change in speed experienced by a wave of light when it changes medium. Light is energy. The amount of energy in a given light wave is proportionally related to its frequency, thus a high frequency light wave has a higher energy than that of a low frequency light wave. As we have discovered, each colour has its own particular wavelength and frequency. Each colour is measured in units of cycles or waves per second. If we can imagine light traveling in waves like that in an ocean, it is these waves that have the properties of wavelength and frequency. A wavelength is the distance between the same locations on adjacent waves. As an example; an ocean full of waves, that were 10 metres apart, could be classed as, having a wavelength of 10, whereas an ocean of waves that were 30 metres apart would be classed as having a wavelength of 30. The further the distance apart between to waves the LOWER the wavelength. The same applies to light. The colour RED has a wavelength of around 700 nanometers long - one wave spans only 7 ten millionths of a metre! Whereas, Violet has a much lower wavelength, so each violet wave would span a much larger distance. Within the Universe, positive and negative charges (waves of energy), are constantly vibrating and producing electromagnetic waves travelling at an incredibly high speed. (186,000 miles per second). Each of these waves has a different wavelength and speed of vibration. Together they form the electromagnetic spectrum. The frequency of a wave is determined by the number of complete waves, or wavelengths, that pass a given point each second. So back to our example above, an ocean with waves that are 10 metres apart that crash on the shore every 5 seconds could be classed as having a frequency of 5, whereas an ocean of waves 10 metres apart that crashed on the shore every 10 seconds, would be classed as having a frequency of 10. The more frequent the waves, the HIGHER the frequency. The colour RED has a frequency of around 430 trillion vibrations a second, whereas Violet has a much higher frequency, so each violet wave would pass a given point much quicker than the colour RED. All light travels at the same speed but each color has a different wavelength and frequency. It is these different wavelengths and frequencies that cause the different colors of light to separate and become visible when passing through a prism. This can be looked upon in the same way that radio waves have different frequencies and wavelengths, certain stations can only be listened to at a particular frequency or wavelength. So the colour blue - say, can only be visible at a particular frequency and wavelength range. Colour Therapy Treatment can be used and applied in many ways. A qualified Colour therapist can assist with what colour to use, by way of a consultation. Colour therapy can be helpful for any problem whether, physical, mental, emotional or spiritual and as a relaxation therapy. However, it should always be remembered that no complementary therapy should be considered as an alternative to professional medical advice. Colour treatment can be given in a number of different ways and, as with any therapy, each therapist may have his or her own 'style'. A Colour therapist will help you to understand your need for a certain colour or colours and also show how you can use these colours in every day life. The first consultation with a qualified Colour Therapist will normally be longer than subsequent visits since time has to be allowed for taking patient details, for the purposes of proper records, and for full discussion of the reason for the visit. The practitioner can then assess the appropriate course of the treatment and discuss the different methods available. When exploring some of the connections of Colour Therapy and Nature, one of the most obvious is, of course, flowers. They are a very big part of the colours we are all used to seeing around us. Nature is full of healing energy and it is there for us all to share and to enjoy. We just need to look. bach flower remedies essential olis aromatherapy lavender It is not only the plants and trees and their flowers and fruits which give us colour, but also the many wonderful creatures who share this planet with us who contribute to the amazing colour palette, and the planet herself. What more dramatic colours could you ask for than the variations of the blues of the sky, the blue/greens of the oceans, and the reds and oranges of sunsets - to name but a few. The subject of Nature is enormous and it would be almost impossible to include every aspect of nature and healing. The use of crystals in healing is a vast topic. Crystals can be very powerful and are very sensitive. Crystals, like all things, have an energy field - aura - and their different energies can be used to balance/enhance our own body's energies. As with many natural therapies, crystals have been used as a healing aid for centuries. Crystal energy, as colour energy, can help to awaken our awareness, not just of the physical imbalance / dis-ease, but awareness of the psychological, spiritual and emotional aspects of ourselves. Some crystals suit some people better or in different ways than others, but this simply emphasises our uniqueness and our different needs. As with many forms of healing, we take what we need. The choice of a crystal can be simply your body knowing what it needs without the 'interference' of the intellect. This is often apparent when someone who has no experience in crystal healing will instinctively choose a crystal which happens to be the very type which their body requires. There are many ways of using crystals and they can be obtained in different forms; the natural unpolished pieces, tumbled stones, cut points, essences, and pieces of jewellery set with crystals. Essences are similar, in a way, to solarized water in that the crystal is placed in water for a period of time and the specific energy of that crystal is transmitted to the water which is subsequently used for drinking or bathing. There are seven main energy centres (chakras) of the body. These chakras are like spirals of energy. Each one relating to the others. Chakra (pronounced sha-kra) is the Sanskrit word for ' wheel '. Imagine the chakras/energy centres as a set of cogs/wheels, as illustrated in the animation to the right. They are rather like the workings of a clock or an engine; each cog /wheel needs to move smoothly and at a similar speed for the clock/engine to work properly. Thus good health and well being is achieved by a balance of all these energies (or the smooth running of the cogs/wheels). We can re-charge and balance these energy centres using colour since the energy wavelengths of the seven rainbow colours correspond to the energy wavelengths of these seven main chakras of the body. Violet is the highest colour. It is the colour for the crown chakra at the top of the head, coming down through the body to the brow (royal blue), throat (blue), heart (green), solar plexus (yellow), sacral (orange) and finally to the base/root chakra with red. Colour therapy can be shown to help on a physical level, which is perhaps easier to quantify, however there are deeper issues around the colours on the psychological and spiritual levels. Our well being is not, of course, purely a physical issue. Fortunately, many more practitioners, both orthodox and complementary are now treating patients in an holistic manner. That is to say, we are body, mind and spirit and none of these areas function entirely alone; each has an effect upon the other. This is why Colour Therapy can be so helpful since colour addresses all levels of our being.  As babies we first experience colour in the womb where we are enveloped in a nurturing and comforting pink. Then as a child we associate with colour as part of our first learning processes. These first associations contribute to our consciousness. As we get older we attach many different feelings, memories and meanings to certain colours and this can then become a feature in our subconscious. We can build up prejudices to colours which have happy, sad, or frightening connotations for us. All life experiences have an affect upon us. Some experiences will be positive and some negative. It is these negative experiences which can manifest themselves physically over time as dis-ease. As an example:- perhaps we have, over the years, been in a situation where we have felt unable, for one reason or another, to speak our mind, or to express our needs and feelings. This can manifest as a problem in the throat chakra. The throat chakra relates in the spiritual aspect to self expression. Thus, if our self expression has been blocked, the energy in this area will not be free flowing. Working with the appropriate colour/colours can help to dispel negative feelings, free blocks and re-balance the body.